Autodesk 3ds Max is a web-based graphic design software, specifically for 3-D rendering and animation and is part of Autodesk suite of software for construction, engineering and architecture. It is used in game development, film and tv animation and product prototyping, too. The app suits both small business and enterprise requirements and supports both Windows and Mac. The app is capable to render high-definition details, lending reality to virtual objects such as characters, scenes and infrastructure. Its animation tools allow you to simulate scenarios and physics like the dynamics of a variety of fluids, gases and solids. These include lava, oil, water, rock, soil, cement, wood, clouds, steam, smoke, fire… the list goes on. You can also configure real-like camera viewpoints and effects, adding more depth to your work. Using geometrical referencing, the animation module lets you move objects in different directions and use mesh and surface variations. Another key feature here is the app’s rich library of 3-D content. You have access to a wide range of templated modeling, effects and texturing, thus, speeding up your work. The app has an open API to help you integrate external apps. The software has robust animation toolkit that lets you detail texture, surface and shape and moves objects in a variety of geometrical reference. The flexibility you get to create objects and motion allows you to simulate real-life scenes, such as flowing liquid, moving gas and static solids. Creative teams can execute their ideas with accuracy and more impact, for instance, creating graphical medical illustrations, realistic animations or detailed forensic explanations. Although the software is intuitive for the beginner or hobbyist, its real strength lies on its professional feature set. Tools like multiple animation controllers, procedural animation settings, object linking for hierarchies and chains and deep rendering tools are key to creating broadcast-quality tv shows or films, high-definition games, detailed presentations and accurate blueprints, among others. Professionals like creatives, game developers, engineers, architects, and animators will find this platform capable to match their project specs. Despite the complexity of tools to render highly detailed depth in objects, the software has features that simplify the process. Notably, a workflow feature allows designers to convert scenes quickly using advanced rendering technology. Such tool lets users convert lights, materials and other elements from one rendition to another as a group or separately. 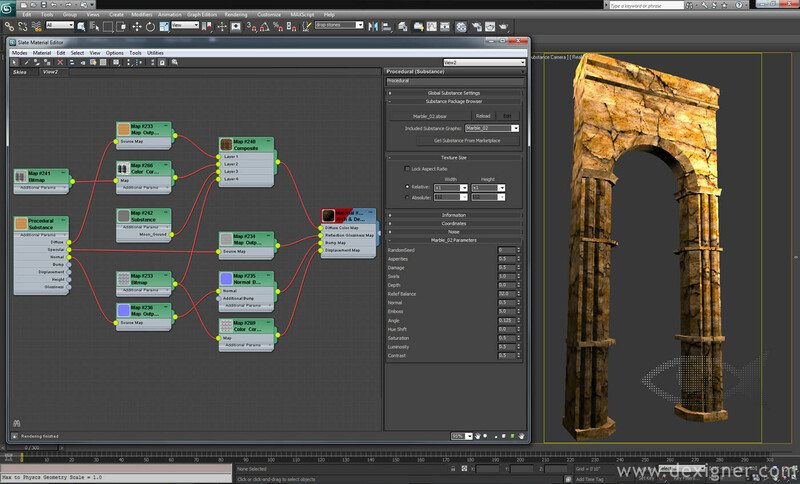 The 3ds Max Material Editor makes it easy also to tweak textures, lighting and other effects on surfaces and shapes. An open API also allows you to configure integration.